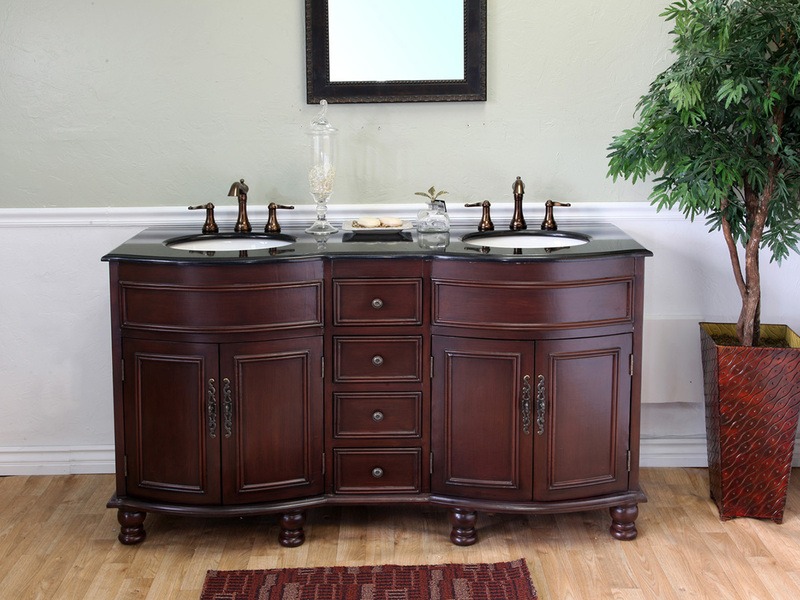 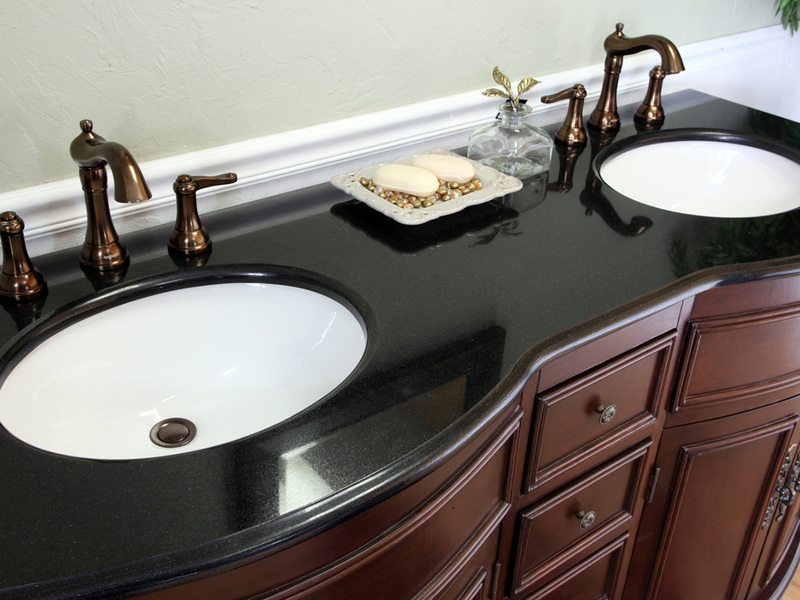 The Somerset Traditional Vanity features a beautiful cherry finish on an elegantly designed cabinet, all topped with a Black Galaxy granite counter top. 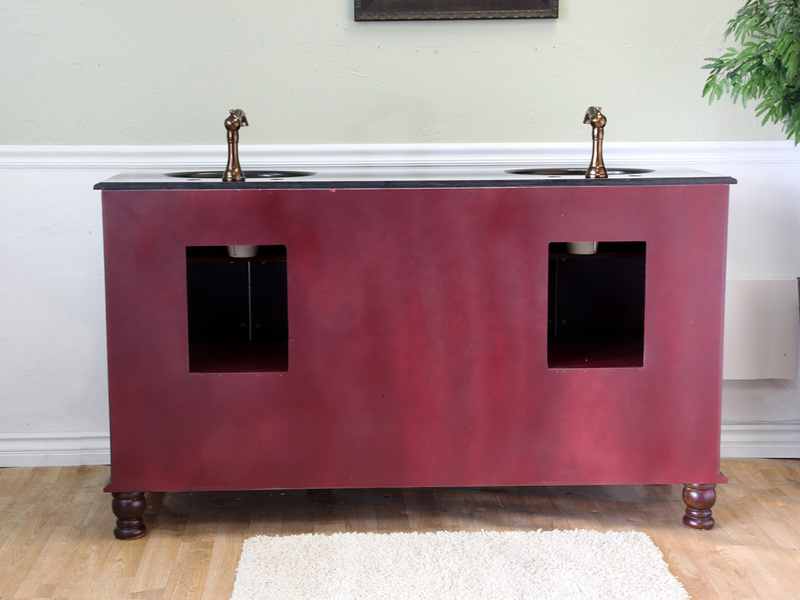 The black counter top and antique brass hardware help bring out the richness of the cherry finish, and overall enhances the traditional look. 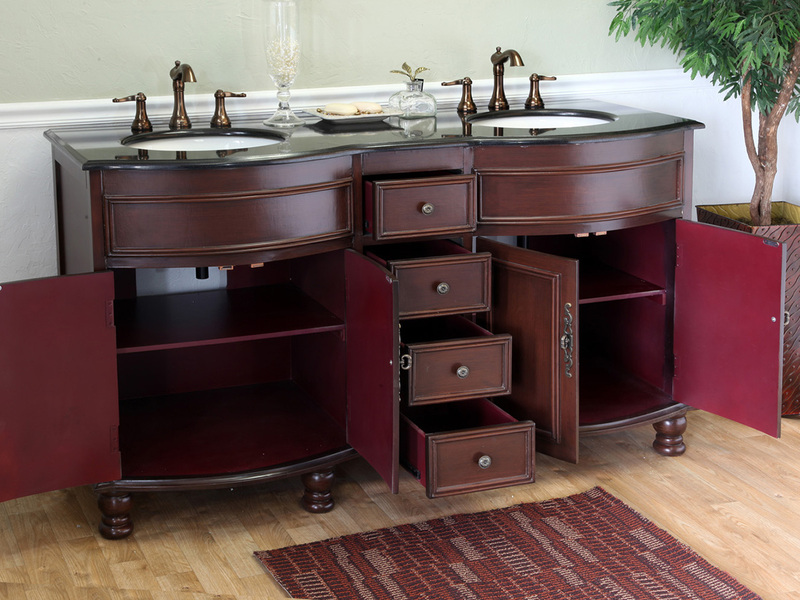 The vanity contains four functioning drawers and two cabinets, providing a variety of ways to store and organize your bathroom accessories. 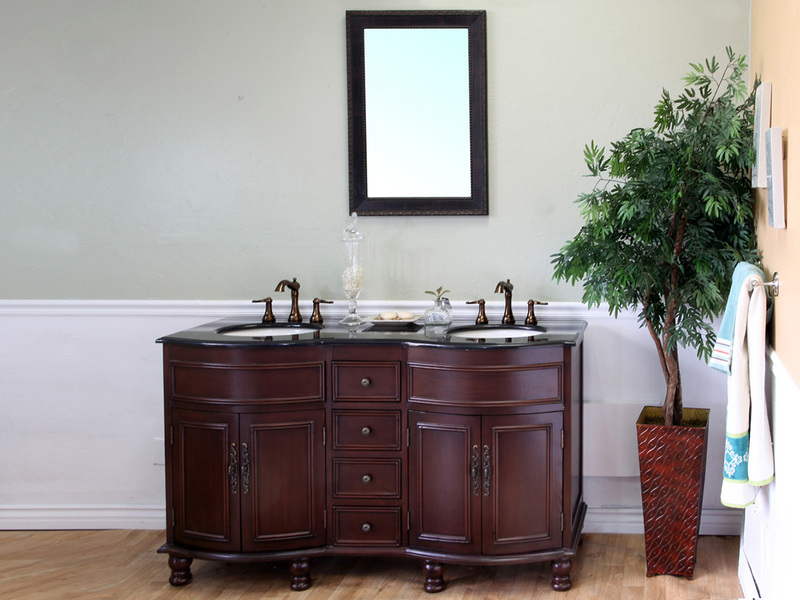 The water proof finish protects the wooden cabinet from warping and damage caused by humidity, preserving the vanity's beauty. 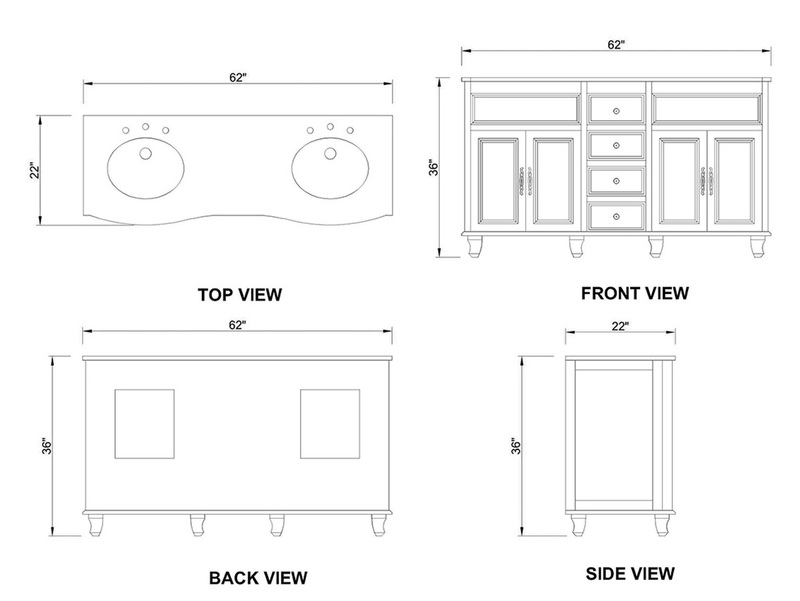 An optional matching backsplash is available for this vanity through the drop down menu.